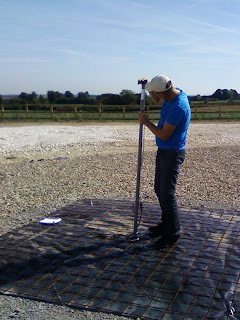 On 31-Aug-2010, a crew of three engineers from ASTRON started work on the final RF commissioning work. This meant establishing that all the low-noise amplifiers (LNAs) are functioning and that the signal can be processed through the electronics in the RF-container. Once that work has been done, then we are ready to start testing the system as a telescope. During this work a number of polarisations were discovered to be not functioning. This is to be expected, as there are often problems with the response of the LNAs or issues with the connections. 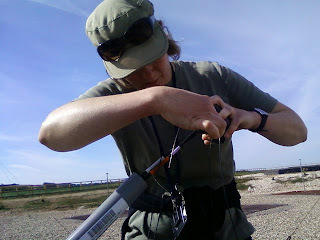 In total we discovered four polarisations between three aerials that needed attention. There was one worrying moment when we though the problem might be the cable, not the LNA unit, but the concerns were unfounded. Within a few hours all the systems had been checked and working correctly. 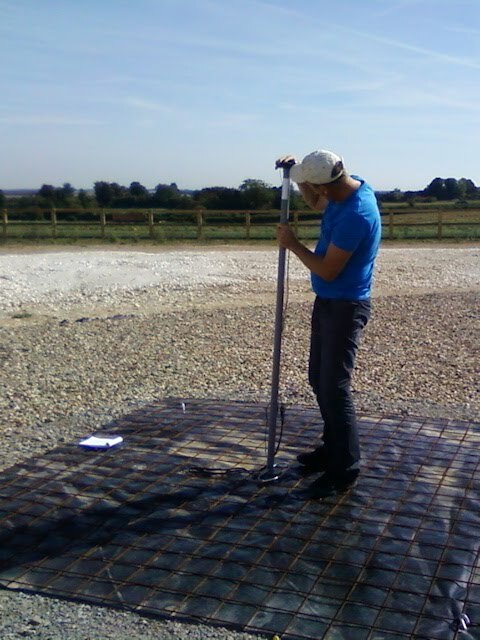 Caption 1: Menno Norden fits a new LNA cap to one of the aerial posts. Caption 2 : Sarah James reconnects a new LNA cap. 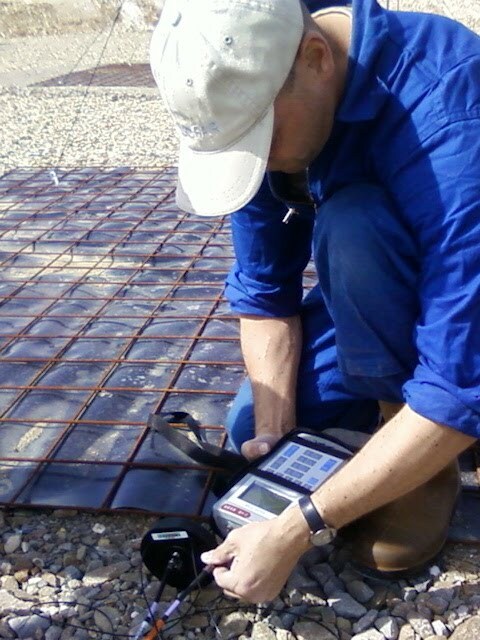 Caption 3 : Henri Meulman uses a Time-Domain Reflectometer to test a cable for possible defects.